Most body builders use protein powder supplements because they require extra protein to build and repair muscles. Some powders can be made at home with no special equipment; others do require equipment that can be an investment. If you cannot mix your own powder at home to meet your needs there are some companies that will make special orders for you. Why Make Your Own Protein Powder? Getting a good protein powder can become expensive so you might consider making your own to either save money or to get that special blend you are looking for to meet your specific needs. Some body builders want a special combination of proteins, vitamins and minerals that they cannot get off the shelf at the health store. If you know what you need you can usually buy the ingredients needed either from the health store or on the internet to mix the perfect protein powder to meet all of your needs. To make your own protein powder you need determine which proteins or other supplements you require to meet your specific needs. You can go to your health food store and usually purchase these proteins to use in your mixture. If you are unsure of what proteins you want, talk to a nutritionist, trainer or your doctor to get recommendations. You should speak to your doctor before beginning a supplemental nutrition program, too much protein can be harmful and getting recommendations assures you that you are not overdoing your protein intake. An easy recipe that can be mixed at home includes the use of egg white powder (1 scoop) as a base and the addition of 5 grams each of L-Glutamine and creatine monohydrate. These ingredients can be mixed together and stored as a powder. 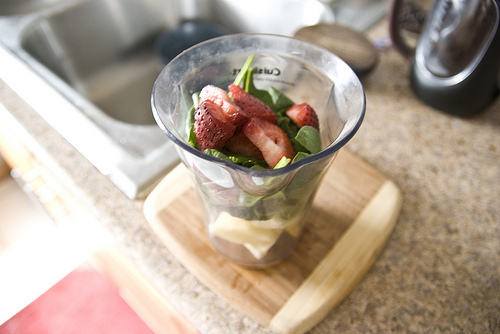 To make the drink you can add water, ice, artificial sweetener and fruits for flavor and blend it well in a blender. Special ordering will probably cost you more money than buying a protein powder off the shelf. If you are not able to get the combination of proteins and vitamins, minerals and flavors you need it may be the right choice for you. Many companies now offer the ability for you to choose all the ingredients, proteins, vitamins, mineral and flavors and they will process it for you.